Multiple major construction projects were conducted by various City of San Francisco's agencies. Such projects included hospital rehabilitation, subway development, sewer repair and improvement, park improvement, bus maintenance facility construction, and building demolition. Through various contract services orders issued by the SFDPW, AEW assisted SFDPW to perform environmental inspections, noise and air monitoring, storm water pollution prevention protocols, review of contractor submittals, and waste management services on projects including but not limited to: Mass Excavation Phases of the San Francisco General Hospital Rebuild, Utility Relocation of the Central Subway project, North Shore Sewer Improvement and Emergency Repair projects, Demolition of Existing Jail Building in CJ#3, Construction of new Islais Creek Bus Maintenance Facility, Arelious Stair Improvement project, Jefferson Street Improvement project, California Cable Car and Sewer Improvement project, Cesar Chavez Sewer Improvement project, and Potrero Hill Community Garden Retaining Wall project. Completion of construction projects are frequently conducted under tight time schedule. Major delays would be costly. 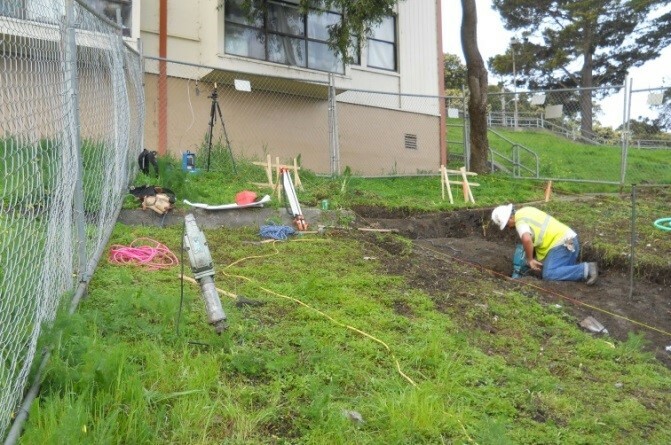 On these construction projects, AEW worked closely with SFDPW to provide real time feedback to the contractors on areas requiring environmental improvements without resulting in major delays of the projects while complying the project-specific environmental requirement as established in the project specifications.